Tips to Outclass Your Competition - How do you deal with Lane Sergeants? Customer Service Techniques - The Costs of Rudeness to Your Business. The Coach's Corner - How Coaching can help You. Quotes of the Month - Reach Your Maximum Capabilities. Ask the Expert - Rude Drivers Make Me Crazy. Yes, it's that time of year when those of you who work out at a gym know what happens. All the New Year's resolutions are evident as the gyms are overrun with great intentions. A few years ago, I changed my work out time to later in the morning. I anxiously arrived at 10:00 a.m. for lap swimming. I was the first one in the door and dipped into a swimming lane. I noticed as other swimmers arrived, they were staring at me. I naively thought they were wondering why I was at Senior Swim and that surely I couldn't possibly be old enough. Banish that thought! I began my invigorating yet tranquil swim. When I came back down the lane after just one lap, there was a man standing in the water directly in front of me. I stood up to see his glare directed at me. The other swimmers were wide-eyed and watching the two of us. The man in my lane grunted and asked me when I would be finished. Well, lap swimming started at 10:00 a.m. and it was now about 10:01 a.m. My intuition told me I better muster up all of my charm and finesse to diffuse the hostility this man had directed my way - which I did. Afterwards, one of the women told me that this man did not like to share his lane and when they saw me get in his lane, they just knew a war would break out between us. They told me no one got into his lane - they called him the "Lane Sergeant." Well, I did get in his lane and there was no war between us. How I handled the "Lane Sergeant" turned into laughter in the ladies room and in the men's room. He actually got a kick out of my "daring" to get into his lane. Do you have customers or co-workers who are Lane Sergeants or who you perceive to be Lane Sergeants? Your Lane Sergeant may be an important customer or co-worker. It's your job to handle the situation with finesse for the best possible outcome. Your choices of words, your attitude, your actions, and the way you handle difficult people or situations affect your bottom line. I offer 1 - 3 day corporate retreats to polish your sales managers and executives moving up the ladder - or those already at the top of the ladder. I will train them with the "people skills" critical to the success of your business. Don't loose another nights sleep because you aren't sure why you didn't get that sale you were so sure of getting. Improve your corporate image; improve your customer satisfaction; improve your sales; improve your bottom line. Call 405-341-3216 today. If your customer service employees aren't making a strong, favorable impression on your customers, there's no way you can count on customer loyalty� or revenue. Visit my website www.protocolplus.net to see how I can help you with my Customer Service Techniques Program. Don't lose another customer because your front line people or sales team unconsciously sabotages your sales efforts with rude behavior - "Outsell your Competition - with Class." The Coach's Corner - How Coaching can help you? The field of professional/personal coaching has grown dramatically over the last 10 years. You can trace it to consulting, mentoring and counseling. Coaching is a profession that works with you to help you achieve results and sustain life-changing behavior. People come to coaching for lots of different reasons, but the bottom line is change. 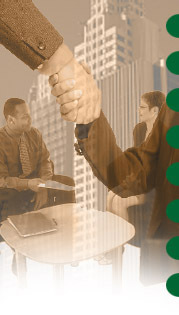 The profession of coaching chose me as I began my corporate etiquette programs. Many people wanted my etiquette training, but also wanted confidentiality. I began one-on-one etiquette training and it quickly took a different fork in the road. People's lives are so intertwined and I quickly realized I was no longer solely doing etiquette training, but combining my skills from other areas. I was using my university background and experience along with my etiquette training in listening and communication skills, and a different relationship was forming - one of the Coaching relationship. As your coach, I hold you true to your values and life purpose; I hold your flag at the top of the hill. I help you understand where you are in your life through maximum use of listening, communicating, and intuition. And, my favorite part of coaching - NO ONE GETS TO BE WRONG. I do not judge; I do not analyze. It is an alliance between two equals - you and me - for the purpose of meeting your needs. Ask the Expert - Help - I'm trapped in traffic!